I will abide by the members rules. I will give three pieces of feedback on the work of others before asking for feedback on mine. I will give kind, constructive critique and respect the community ethos. I will make myself known honestly and fairly to my fellow members with my first name at the social group (closed group on Facebook) and at the Live Lodge. I will not share any material from inside The Novelry, outside of The Novelry. I will keep the content confidential at all times. Please note your membership of the community is bound by acceptance of these terms. Sign up the Ninety Day Novel ® plan and get over 100 lessons timed to coincide with your writing, to help you craft the idea from the beginning and see you through writing it to the end.Benefit from 3 personal one to one thirty-minute coaching calls from author tutor Louise to check your idea is sound and your proposed approach is solid. Get a customised writing plan and check ups en route. Book your live and online coaching calls at a time to suit you. Sign up at just £149 a month for 3 months. Don't miss it. Our members make The Novelry a very special place. Get detailed feedback on your work and the support of the novelists community at our working members' forum - The Novelry Lodge - and our closed group on Facebook too for daily support and the more social side of things. 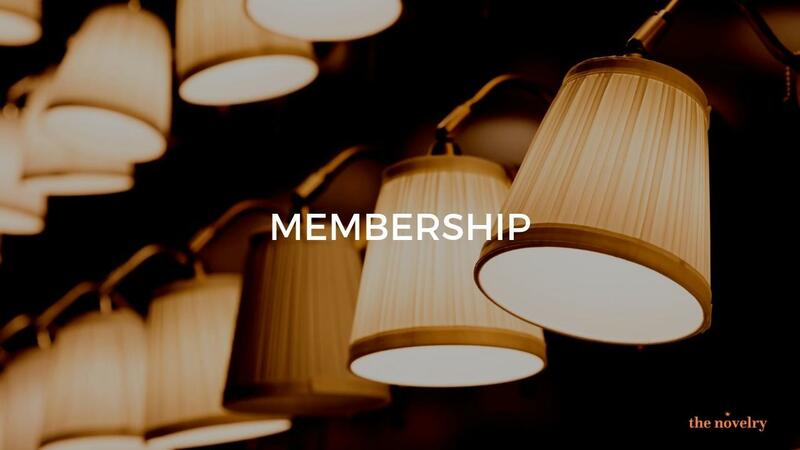 With membership you'll have 24/7 support worldwide, early access to our retreats, events and cocktail parties and get on track to be published. Members' work goes through a happy process to be submitted by The Novelry to literary agents for consideration. It's the kindly community of working novelists. Warm-hearted, useful and fun.